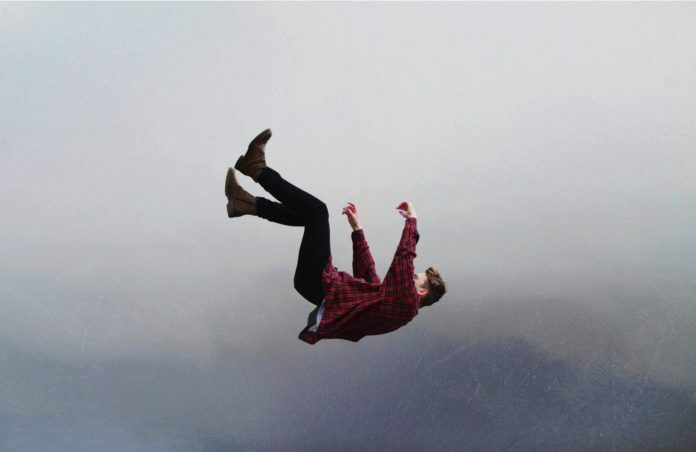 I open my eyes and I see that I am in mid air, falling. I feel the air brushing past me and there is no ground beneath me. The gravity is powerful and I am falling at a great speed. Anxious, my arms are spread out reaching out for something, but all I feel is the air passing through my fingers. I know not where I am, how I got here, nor do I know when I will hit the ground. Minutes, hours and days pass, I am experiencing a perpetual fall. I feel the constant brushing of the air on my body. I am fully conscious, and I try to find a way to stop myself, but there is nothing for my arms and feet to hold on to, that will secure me in place. I reach inside my jacket and find my Bible. I immediately hold fast to it as if it were a sturdy branch of tree that will stop my fall, like it were a rope tied to a rock, like it were my plush throw in bed for comfort, like it were the last packet of food and water, like it were a parachute rope… I’m still falling, but I have something to hold on to. I’ve got a grip. I have no fear and am filled with hope and feel comfort. Time passes, weeks, months, years; I’m falling all my life. I no longer try to reach out to external support, but I have a consolation, a support, a foothold, a powerful hand holding me, and words consoling me, right here with me and within me. Though I’m falling, I fall peacefully. I will let myself enjoy the fall. I look around and I see a lot of people falling alongside me. If I see you falling, let me share my hope with you. Let’s hold hands, we can’t stop falling but we sure can say a prayer as we fall together. When it is time to let go, I let go of others and hold on to the word of God, the words of hope. Nope, this is not inspired from the falling dream where most people feel themselves fall. It’s just a perspective on life based on how I feel when I seem to have no control of things around me and everything seems transient. That’s when I take control of myself and without letting fear drive my thoughts and actions, I allow the Holy Spirit and God’s words to be my inspiration and hope. Then I get a good grip on the situation, and the fall is graceful.